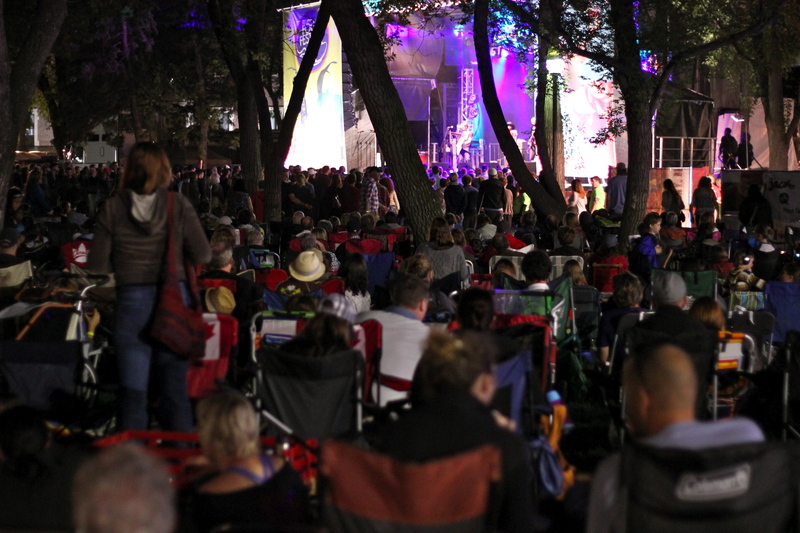 For three solid days every August, the city of Regina holds a most incredible music festival in Victoria Park, located in the heart of downtown: The Regina Folk Festival. 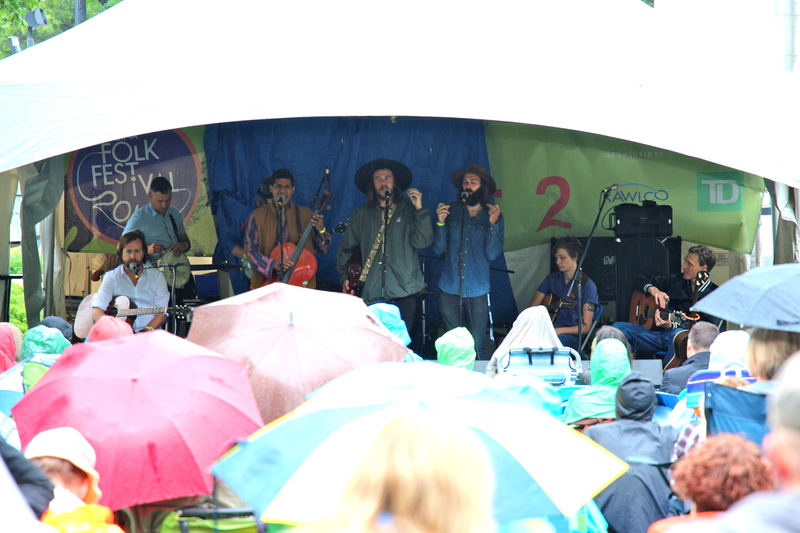 And proving that NOTHING will keep a die hard music lover from getting their fix, this year’s soggy grounds and thunderstorm did nothing to hold back the thousands of devoted music lovers from attending this years festival, music is music… RAIN OR SHINE! Upon our arrival on Friday early evening, we met up with the festival media team, and received our accreditation, allowing us access to the grounds. 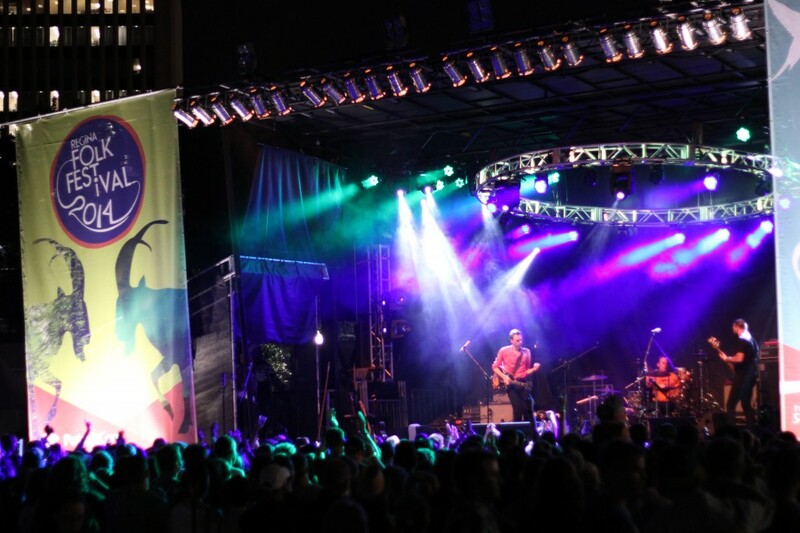 A huge thank you goes out to the Festival Media reps, as every aspect of our festival experience was fantastic and flawless from start to finish, all thanks to them! They ensured we were able to meet up with most of the artists we had flagged for interviewing and even arranged a unique onstage location for one of them! I’m not sure if you are aware, but Friday night was an incredible evening for anyone who loves photography. Specifically those who specialize in shooting LIGHTNING and AWESOME STORMS! 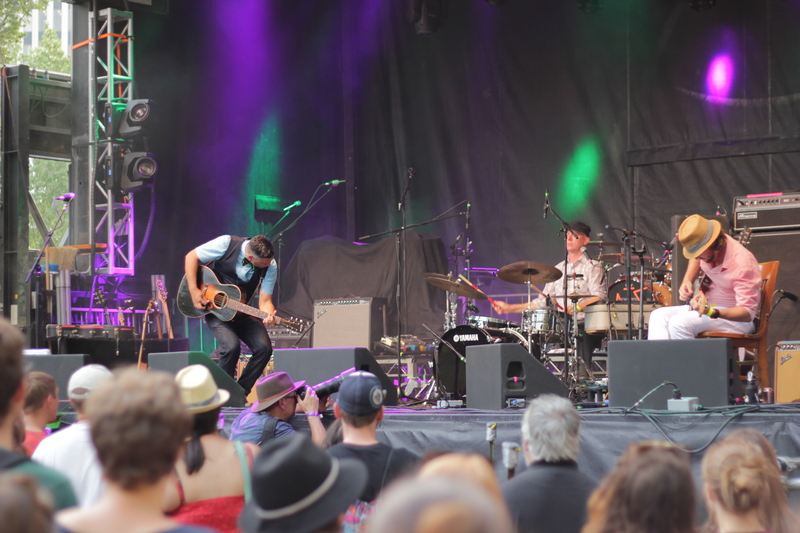 Before the lightning arrived and had the chance to send everyone home, we took in a killer performance by my festival favourites, Elliott BROOD! (I’m just throwing it out there, should they not return to my neck of the woods soon, this is one band I will happily travel to see!) Not only did we get the chance to see, dance to and sing along with them, we caught up with them for a chat and talked about everything from vasectomies, to movies, to their incredibly unique sound! 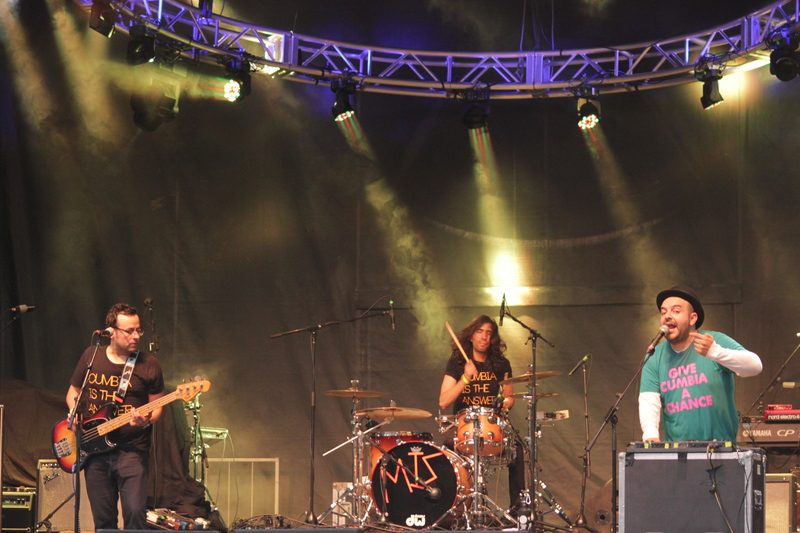 Next up, Mexican Institute of Sound filled the festival crowd with the urge to dance, dance, dance! Having walked all the way from Mexico City, these guys showed no signs of slowing down, and mentioned to their audience, “If you’re not dancing, then we are doing something wrong!” Needless to say, they were doing NOTHING WRONG as everyone in the audience was grooving, full body, bum sway or tapping their feet. Their sound grabs your inner dancer and brings it to life! We met up with them later and EWest Music’s Hillarie Wilson had a chat with Camilo Lara about their incredibly energetic and interactive performance. Following them, Joel Plaskett Emergency kept the crowd on their feet dancing and singing along in what can only be called one of the best all ages shows of the weekend! Apparently there were a few requests for his song “Fashionable People” which included lyrics like “Let’s get dressed up in a hotdog bun!”, and it was dedicated to the toddlers in the crowd. We caught up with him later and he and Hillarie discussed everything from his storytelling to his favourite and (least favourite) cities to play. Ghana’s Blitz the Ambassador got the crowd even more energized, it may have even been his electrifying stage show that brought on the lightning! (Oooooh, my brothers are going to love that I even threw an almost pun in here… Anyone who knows me is aware of how much I loathe puns… GROAN) In all honesty, I don’t know how else to describe it though, his stage presence was magnetic and electrifying! Just as he was getting into his performance though, the show was shut down and the festival was evacuated due to the arriving storm. (Safety First!! 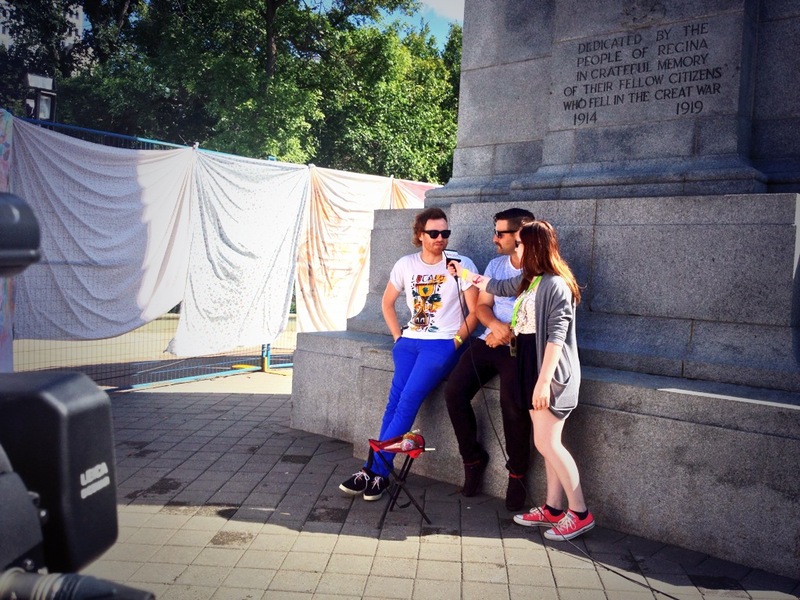 )We did catch up with Blitz for an interview the next day which everyone will want to check out! 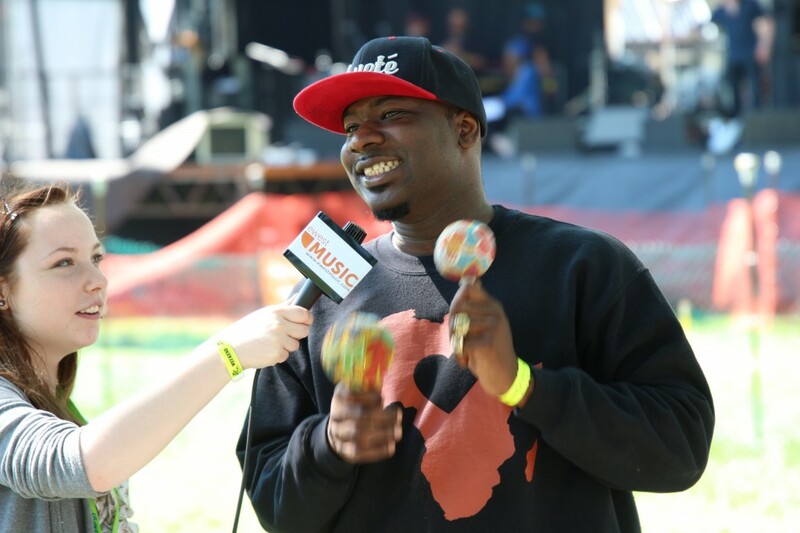 Who doesn’t love an impromptu rap with some maracas! Even though Sam Roberts was not able to perform on the MainStage that evening, he did manage to squeeze in a few songs, (before having to catch his flight), at the after party. He came here to play, and did not want to miss out on the opportunity! With the aid of a borrowed guitar from one of the members of Elliott BROOD, he covered several songs and was quickly joined onstage by some of the festivals Friday evening line-up, (the aforementioned Elliott BROOD and Joel Plaskett), with accompanying drums, singing, guitar, you name it! 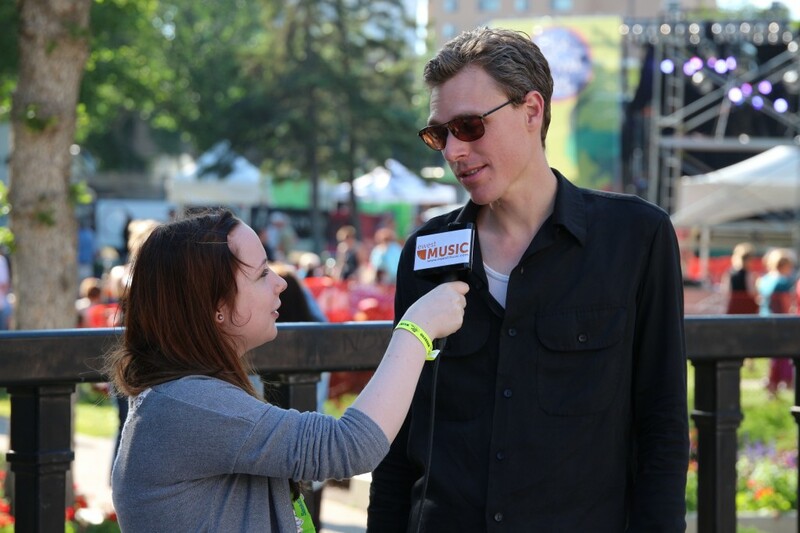 Our day consisted of taking in a few workshops, my highlight being “In Hell I Will Be In Good” which featured Elliott BROOD, Mo Kenney, The Dead South and Joel Plaskett. IT WAS PHENOMENAL. We knew how terrific Elliott BROOD and Joel Plaskett were, but this opened our eyes to other artists we needed to have on our show as well. Local Regina musicians, The Dead South, are a fantastic four piece acoustic group, featuring a cello, banjo and incredible guitars and voices. 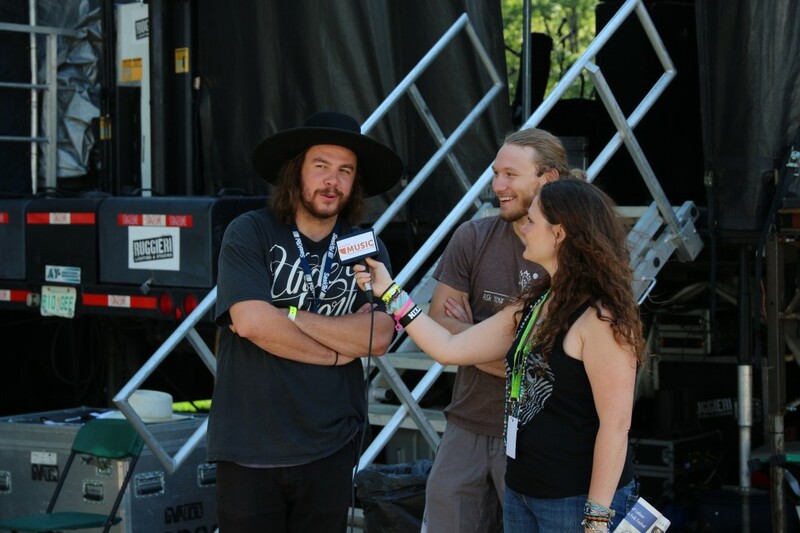 We caught up with them and discussed playing for a local crowd, their latest album and of course, The Legend Of Zelda. ‘Cause why not? 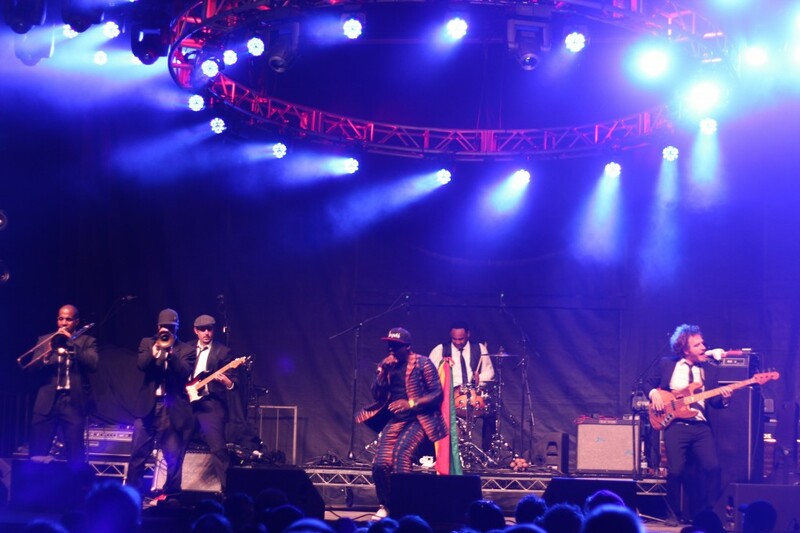 If you have not yet heard of them, we highly recommend tracking them down and catching their show, you will not be disappointed and will have a new favourite band to follow! 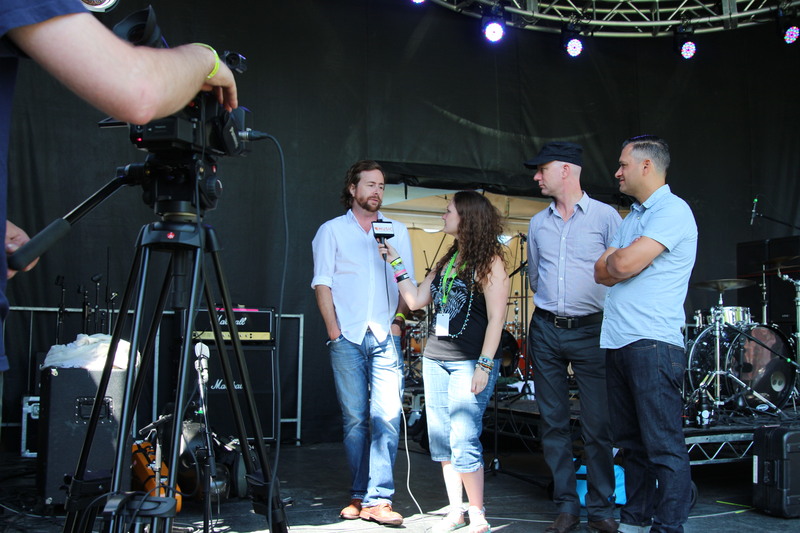 Rounding out our weekend of interviews was Hillarie’s chat with Winnipeg’s Royal Canoe. During this we discovered a new segment that will be titled “Questions from Daryl”, as our camera-operator added his humour to the interview when he threw this to them: “Have you ever thought of bringing an inflatable canoe to your shows and using it to crowd surf?” EWest Music has now been contracted to build said inflatable canoe, with the promise of free lifetime attendance to their shows. 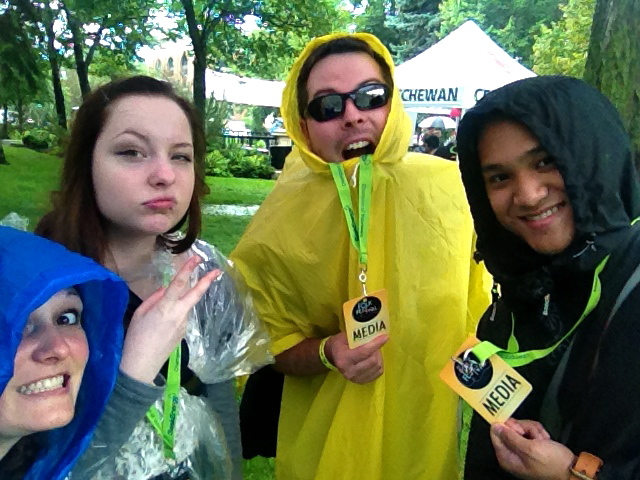 Later that evening we danced and sung along to the highly anticipated Serena Ryder on the Main Stage. She even professed that the Regina audience sang along to her new song, (I have searched high and low for the name of it but cannot find it anywhere, so if anyone is aware, please comment below! ), better than any other audience thus far! Man, does she ever have an amazing voice. 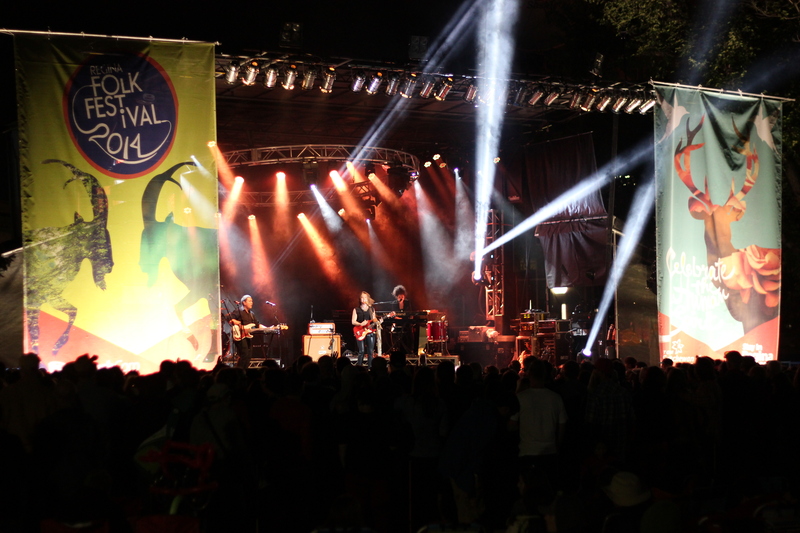 The friendliness of the artists, the feel-good vibe of the crowds, the helpfulness and professionalism of the volunteers and behind the scenes crew, AND EVERY BEAT OF EACH PASSION-FUELED PERFORMANCE, adds up to an infectious feeling that will leave you immediately longing for next years festival experience. It all comes down to atmosphere. 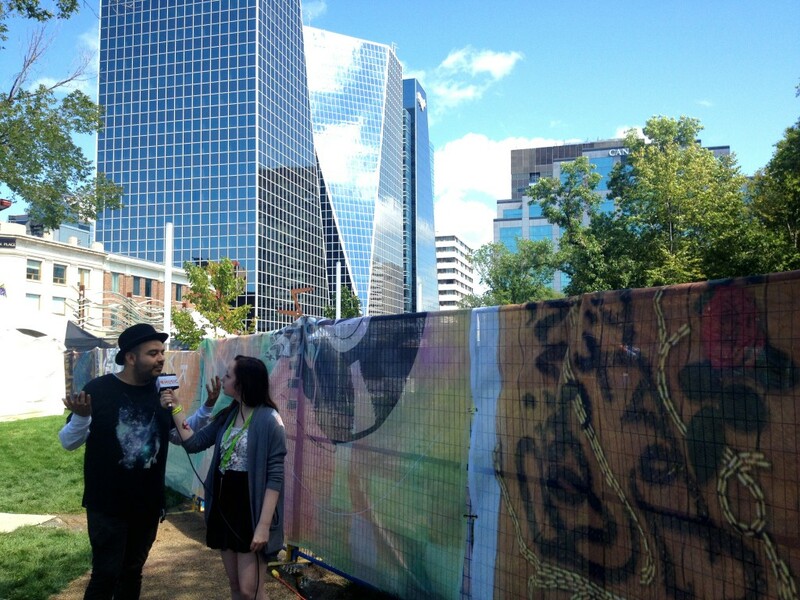 And the Regina Folk Festival has one of the best.